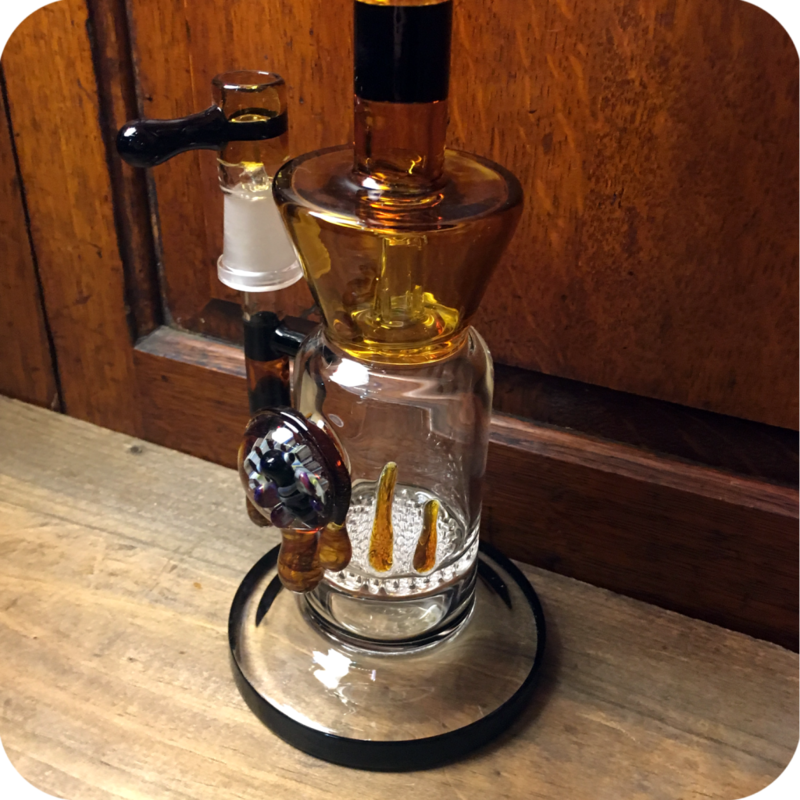 The Honey Bee Honeycomb Oil Rig is a seriously fun concentrate water pipe! It stands at about 10 inches tall and features some awesome honey, bees, and wax (appropriate) art scattered all over the pipe. It also quite appropriately features a honeycomb percolator. 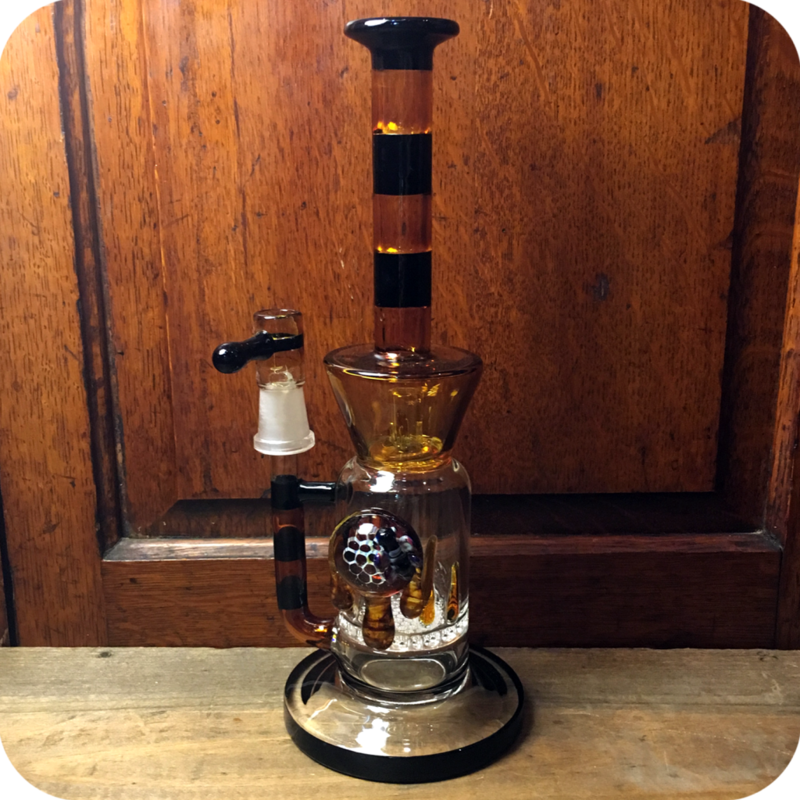 This percolator helps filter and cool the smoke, giving you a smooth yet potent hit every time. These particular honeycomb percolators are arguably the best at what they do, and are much easier to clean than any other shower-head or dome percolator. 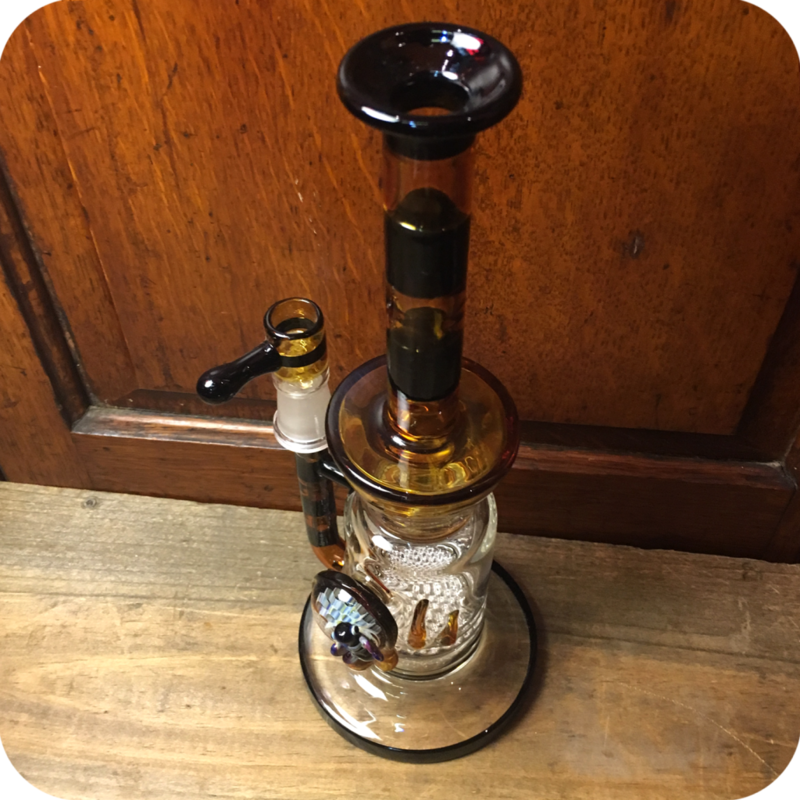 This pipe also conveniently has the ability to switch to a regular dry herb water pipe with the correct bowl attachment, which means double the possibilities! It features a very wide and sturdy base, which is a very important yet overlooked detail. This means the pipe stands comfortably and safely. Keep this pipe cleaned and maintained and it could last you a lifetime! Best way to clean glass pipes of any type is with Formula 420 Cleaner. Be sure to grab some while you are here so you can keep your pipes sparkly new at all times! Finally, do not forget to swing by either one of our three Brooklyn store locations to see what else we have to offer! We have something for every smoker! 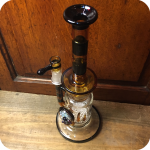 Categories: Water Pipes, Concentrate Pipes. 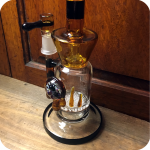 Tags: Brooklyn, brooklyn glass, brooklyn smoke shop, bushwick head shop, Honey Bee Honeycomb Oil Rig, honeycomb, honeycomb percolator, oil rig, Sunflower Glass Co, Sunflower Glass Company.